It is crucial for you to do your homework before hiring someone to build your business application. You may think it is a good idea to hire your neighbor or your son’s friend, someone who is just a programmer. However, that may not be such a great idea. You may think you’ll save money because this person is offering you a great, low-cost ‘bro’ deal, but in the long run, this deal may end up costing you far more. When selecting an application developer, you really need more than just a programmer; you need a software development engineering team. That is because, in today’s world, people are using many different devices running on different operating systems in different languages and all parts of the world. You need software engineers and designers that specialize in each and an architect to put it all together. Longevity: Has the software company been in business for a suitable length of time? Resources: Does the application developer have sufficient talent and resources to get your job done? Process: What is the company’s process? Design & User Interface Skills: Does the engineering firm include designers and user interface experts? Knowledge: Is the application developer’s knowledge broad enough to handle the full scope of the work you need? Capacity: Is there enough manpower to do your job within the time-period you need? Portfolio: Does the application developer have a portfolio to show their capabilities? 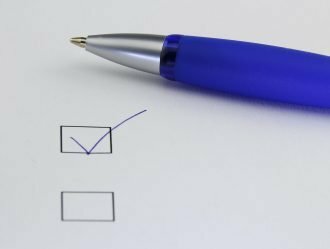 References: Are there previous clients that give them a good recommendation? Longevity: While you may be tempted to save money by hiring your next-door neighbor that is just starting out, but if the programmer you hire does not already have a background, it is possible that they may not be able to accomplish what you need. Even if they do not intend to be “fly-by-night,” they may disappear mid-project if they run into problems or can’t get your work done. On the other hand, an application developer that has longevity has already proven the ability to do the job you need. Resources: With all the different programming languages, platforms and technologies available, it is nearly impossible for a single individual to bring everything to the table that will be needed to build your application successfully. Look for a team of developers that have complementary skills and that can work together in an agile environment to accomplish what you need. 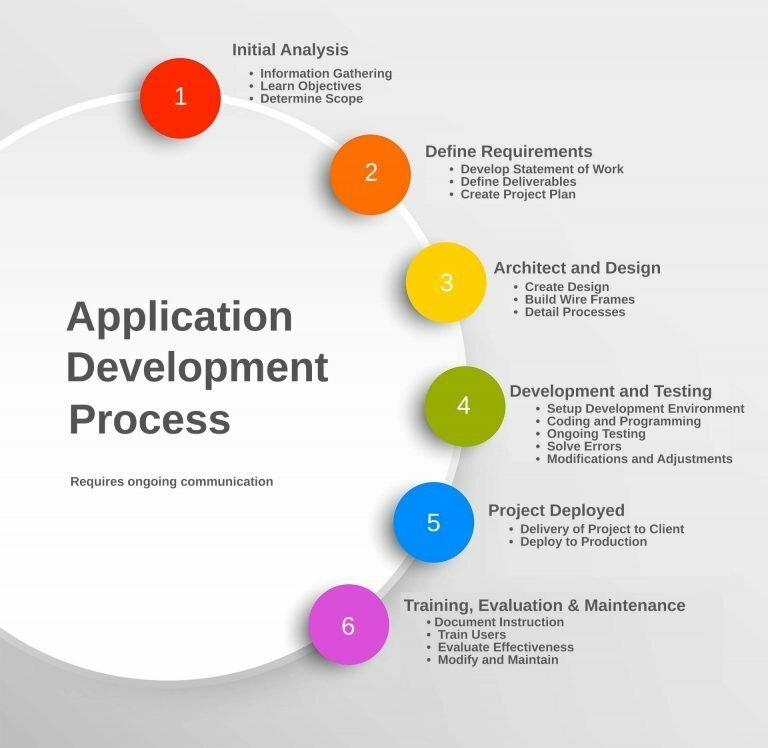 Process: Application development is not a one-and-done matter; it is a process. The process requires multiple steps and constant communication. It starts with thorough discussions to determine all the requirements and to begin planning. Next, the requirements are defined and documented to ensure everything needed will be included. Then the project is architected and designed. Development and testing commence once designs are approved. Once development is completed the project is deployed. Finally, users are trained and there is an evaluation period where changes are made if needed. Design Skill & User Interface Engineers: If your application is not designed with the user in mind, it will fail. Find out if there is a design expert trained in creating functional and attractive interfaces for a remarkable user experience. Knowledge: Even if you are working with a company that has a team of programmers, that does not assure you that the programmer assigned to your project has the knowledge. Be sure that a knowledgeable architect is overseeing the development. Capacity: You may find a programmer or development group that has the knowledge and ability to do your project, but you need to make sure they have the capacity as well, meaning do they have the time and manpower. If they have multiple projects, they may not be able to dedicate as much time to your project as it warrants. If not, this will push your timeline. Portfolio: It is essential that the developer you choose shows they can accomplish your goals, and the best way to do that is to already have done similar projects. Ask for examples of previously completed projects. References: Look for published reviews from a third-party source like Clutch which is a website that publishes B2B Ratings and Reviews. Testimonials on the programming company’s website may not be authentic, so when reading them, keep that in mind. See if you can talk to current and previous clients. In summary, you want to find a company that can take away all the burden of managing your technology. That can only be accomplished by a firm that has all the above qualities. Previous Previous post: Why Build a Minimum Viable Product?